Are we talking too much about the Holocaust? We live at a time when Jewish people are being accused of dwelling unnecessarily on the memory of the Holocaust . But at the same time we are seeing swastikas being painted on doors, walls and even tombstones, globally. Mahmoud Abbas was unanimously re-elected as leader of Fatah and the West is supposed to get excited about the man who they believe could make peace with Israel. Let us not forget that he is a Holocaust denier and has written his thesis in 1982 on that very topic under the title: The Connection between the Nazis and the Leaders of the Zionist Movement. Populist parties are gaining tremendous ground in Europe as the desire to stop and control the migrant crisis becomes a priority. With them, they bring the deep rooted European racial antisemitism that we thought was defunct. It was only a couple of years ago that I was on the streets of Paris hearing people marching and chanting “Jews to the ovens.” It really seems that a lot of people are either denying the Holocaust, wanting another one or worse… are clueless about the first one! I don’t think that we speak too much of the Holocaust but I think that we don’t speak about it in its proper context. 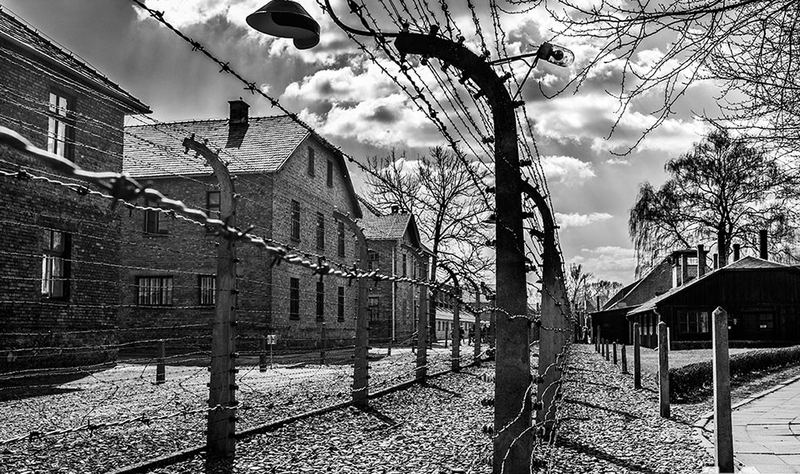 Scholars, philosophers, theologians and historians have all grappled with the Holocaust, trying to come to terms with the immensity of its evil in strength and scope. Some within classical Jewish religious thought believe that the Holocaust was God’s retribution or “pay-back” for Israel’s sins. In other words, it was God’s desire to discipline Israel for her sins and as such, was part of God’s plan all along. The common name for it is Mi-penei hata ‘ einu (Hebrew for “because of our sins we were punished.”) It refers to Divine punishment for the sins of Israel. It is true that the Tenach is replete with stories about the sins of Israel and their consequential discipline from God. Holocaust survivor and Nobel Prize laureate, Elie Wiesel wrote in 1962 of the religious Jewish reaction to the Holocaust in Commentary Magazine: The feeling of guilt was, to begin with, essentially a religious feeling. If I am here, it is because God is punishing me; I have sinned, and I am expiating my sins. I have deserved this punishment that I am suffering. Wiesel, along with many others, feel that while the punishment inflicted by the Holocaust might not be proportionate to the sins committed by Israel, but they are related. Incidentally, if one believes that–as the Bible teaches–the price for our sins is death (Ezekiel 18:4), then the Holocaust could be justified. But why would God wait almost two thousand years to punish Israel, and why inflict pain and suffering on generations that are so far removed from the previous ones? Others will see Israel as the Suffering Servant of Isaiah 52:13-53:12. They will assign the suffering of the Holocaust to all Israel (all Jewish people.) While it is beyond the scope of this article to discuss the meaning of the Isaiah 53 chapter, it’ll simply be stated that this controversial passage definitely speaks of suffering, humiliation and death in no uncertain terms, but it can also refer to a person and not Israel as a whole. If indeed it refers to a person in particular, Yeshua of Nazareth is the only one who would fit that description, especially since towards the end of the passage after humiliation, suffering and death comes resurrection. Some speak of Hester Panim (“hiding of the face,”) also known as “the eclipse of God.” Psalm 44:23-24 speak of God hiding His face: Arouse Yourself, why do You sleep, O Lord? Awake, do not reject us forever.Why do You hide Your face And forget our affliction and our oppression? Was God absent during the Holocaust? From the standpoint of protecting the victims from suffering and death, it would certainly appear to be true. Each and every one of the six-million innocent victims–if they could speak– would most likely testify of God’s absence or lack of involvement. Many religious people, Jewish and gentiles ended up in the camps. If God was silent, some of His people weren’t. The eclipse of God was not because He didn’t care but possibly because for a time, He removed Himself from the affairs of men, leaving the fate of many in the hands of a few. At the very least, He allowed for the Jewish people not to be under His protection like He had done repeatedly in the long history of the children of Israel. Isaiah tells us that God cared as he suffered affliction for His people. Additionally, God took no pleasure in the death of the many. Even assuming that Israel was being punished by the Holocaust for being wicked–a case that cannot be made with absolute certainty– the prophet Ezekiel speaks of God when he writes: Say to them, ‘As I live!’ declares the Lord God, ‘I take no pleasure in the death of the wicked, but rather that the wicked turn from his way and live. This lead us to the problem of evil. The existence of evil in the world is something that is highly debated. Very few believe that evil doesn’t exist. 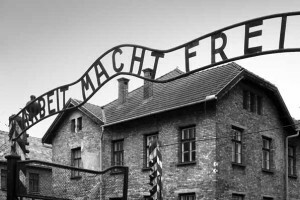 The Holocaust and how low humanity could bring itself were a proof that evil exists. Hitler wasn’t insane, which would exonerate him of all responsibility for the “Final Solution to the Jewish problem.” Hitler was pure evil! But even when we recognize that, the source of all evil still has to be identified. I don’t believe that we can properly do such a thing without building our case on a biblical foundation. Morality is based on the balance between good and evil which is best brought forward by looking at what the Tenach says. Good and evil cannot exist independently of one another since one defines the other. Going back to the very first book of the Tenach, Genesis, we find out that one of God’s most special angels, Satan, rebelled against God and fell from grace. From that point on, he has been working very hard at hating what God loves and loving what God hates. That puts the Jewish people and Israel directly in his crosshairs. He knows that through the Jewish people, more specifically through the tribe of Judah (Gen 49:10,) will come the Redeemer of mankind, the Messiah of Israel. His goal is to stop that from happening, because at some point in the future, Messiah will put an end to Satan’s career and he doesn’t care for his retirement plan. There is no doubt in my mind that Satan was aware of the return of the Jews to Israel in the End-Times. He had to stop it, or at least try, thus the Holocaust. He used Pharaoh to try to stop Moses from being born, he used Herod to try to stop Yeshua from being born and he used Nazi Germany and Hitler to try to stop the Jews from moving back to Israel and fulfill God’s covenantal promises. Satan exploited the fact that the Jewish people weren’t under God’s protection and were more at the mercy of the nations to attempt their total eradication. He almost succeeded but God is greater. Not only God is greater but He is interested in every single soul that exists. God wants to draw them to Him, one soul at a time. So again, it is not that we speak too much of the Holocaust, but maybe that we speak of it in the wrong context. It was in 1953, only eight years after the close of World War Two that Yom HaShoah became an official national memorial day in Israel. 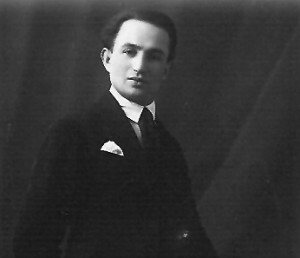 Prime Minister David Ben-Gurion established that day as a yearly memorial of the six million Jewish victims of the Holocaust. Since then, every year and all over the world, Jewish people remember the Shoah or “Catastrophe” as they perpetuate the memory of their lost, loved ones. In Israel, on that day, a minute of silent reflection is observed at 10:00 AM as a siren is heard all over the country. It isn’t unusual to even see motorists stop in the middle of the road and get out of their cars to observe that solemn moment. Historically speaking, the Shoah is a unique genocide for at least one reason. It is the only attempt at annihilating a people group–The Jews–by even going outside of the area where they resided to gather them and bring them back to a certain death. It was an orchestrated, organized attempt at the total destruction of European Jewry. With all other genocides, as brutal as they might have been, there was always a way for potential victims to escape and/or immigrate. This was rarely the case for the Jews during the Holocaust years. The importance of perpetuating the memory of the Holocaust cannot be underestimated. It is not about dwelling on the past for the sake of dwelling on the darkest days of Jewish history, but rather for the sake of preventing another “Catastrophe” in the future. And yet, despite the commendable efforts made by Eisenhower and others, the Holocaust currently runs the risk of being relegated into some obscure corner of history, even worse…Some will soon believe that it simply never happened. The Nazi party was at the source of Holocaust denial when they labeled their genocidal efforts “the Final Solution to the Jewish Question”, a euphemism protecting the Nazi genocide from early criticism. Holocaust denial officially got organized by Willis Carto (Liberty Lobby) in 1978 with the founding of the Institute for Historical Review(IHR).They regularly promote Holocaust denial while claiming the opposite, as we can see by their support of pseudo-scholars such as David Irving (UK) or Robert Faurisson (France). One of the most visible Holocaust revisionist and denier in the USA is probably Bradley Smith who since 1991 has advertised in college publications to promote Holocaust revisionism. French extreme-right long time leader of the Front National party, Jean Marie Le Pen (now semi-retired) first said that the Holocaust was “a detail of history” in 1987, and just re-iterated his position in 2015. Iran just organized its second Holocaust Cartoons Contest, seeking to minimize, revise and/or deny the truth about the Holocaust–All the while preparing for a second one! Palestinian Authority leader Mahmoud Abbas wrote his dissertation in which he doubted the existence of the gas chambers and the high number of Jewish victims. In 2014, he backpedalled to admit that the Holocaust was a heinous crime yet the statements he made in English and in Arabic vary greatly. Unfortunately, I could keep adding to this list. The point is that in 2015, 70 years after the events of the Shoah, we run the great risk of forgetting it. The last remaining survivors are in their 80s and 90s, with some even over 100 years old. It will not be long before we will no longer be able to talk to anyone who lived through that era. That is one reason why it is crucial to repeat and repeat the story of the Holocaust. The dwindling number of survivors coupled with the sick desire of some to negate the whole tragedy is a very dangerous combination. Of course, much of history remains recorded for us in numerous books, journals and pictures. But as it pertains to Israel and the Jewish people, once again the standards are different. I am convinced that with an evergrowing animosity for the Jewish state and the global Jewish community, many would feel no guilt if the Holocaust ceased to be remembered, commemorated or even acknowledged. 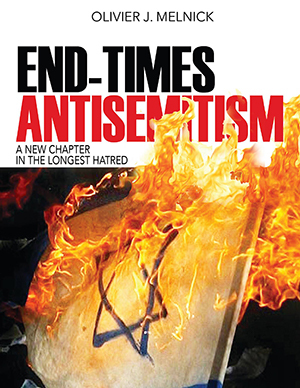 Iran is working around the clock to acquire a nuclear bomb, Hamas has the destruction of Israel as part of its charter, many liberals and academics are preaching anti-Semitic messages on university campuses and even extreme right-wingers are now resurfacing. Some claim that the Holocaust never happened, some claim that it was greatly exaggerated, some claim that it was used as Jewish propaganda and some think that we talk too much about it. The frightening truth is that according to a recent survey by the ADL, 1/3 of the world population believes that the Holocaust was a myth... One third! If you and I do not retell the story of the Holocaust to our peers and our children, history will repeat itself! Yom HaShoah might be one day a year, remembering the Shoah must remain an on-going daily effort. Who perished in Auschwitz. One in six million.